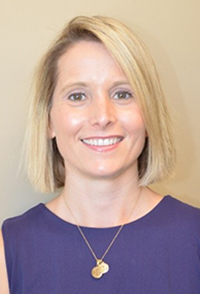 Holli joined Duke Health Development and Alumni Affairs as Executive Director of Development for the Departments of Neurology, Neurosurgery and Neurobiology in February 2015. She has 15 years of experience in higher education fundraising and medical development fundraising. Prior to joining Duke Health, Holli was with Wake Forest Baptist Medical Center in various development roles and was responsible for implementing and overseeing the medical center's first comprehensive grateful patient fundraising program. Holli received her BA in music from Salem College. She and her husband, Brandon, live in Chapel Hill and have two daughters, Margaret and Caroline, who keep them busy.